Chelmer Valley High School prides itself on developing students' skills, talents and abilities to their maximum potential. In doing so, we not only encourage young people to love learning by achieving personal excellence, but also promote opportunities for students to reflect upon British values, spiritual, cultural and social issues and encourage self discipline and a sense of responsibility for others and the environment. 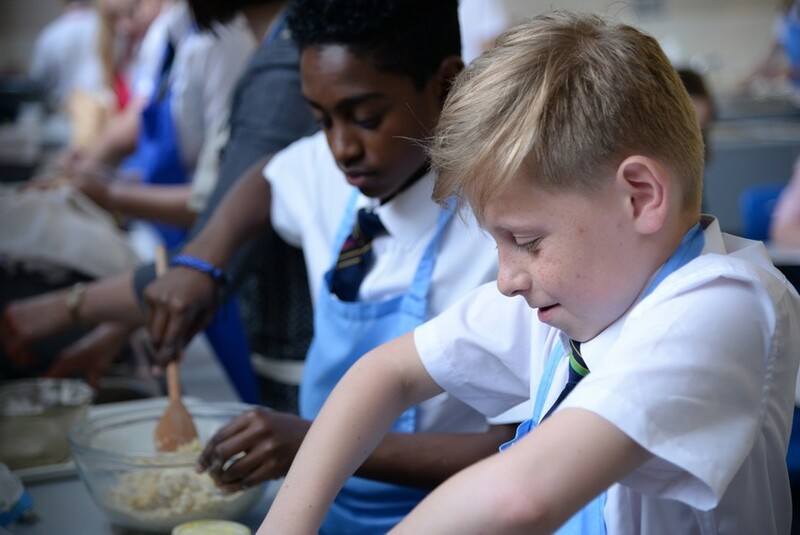 In order to achieve our aims and values, the school is committed to offering students a wide range of challenges and enrichment opportunities within and outside of the curriculum. These opportunities, as well as other aspects of school life, can be found by accessing the left hand menu on this page. We are very proud that Chelmer Valley High School is a good school. We are always looking at ways of improving our provision and our links with the community and our communication with all stakeholders. To this end, we are keen to find out whether your children are getting the most out of Chelmer Valley High School. As a key way of delivering Every Child Matters, and as an extended school, Chelmer Valley High School works with the local authority, local providers and other schools to provide access to integrated services which provide wrap around care for your son/daughter. As part of extended services at Chelmer Valley High School, the school has a range of activities and support on offer, as well being able to refer you to others in the local area. The school offers Breakfast Club from 8.10 until 8.45 am every morning. The library in the Richardson Building is open from 8.30am until 4.00pm daily. Students are always welcome to read and work. A librarian is always on duty to help and advise. Additionally, we offer an extensive range of sporting, creative arts, engineering, revision, catch–up and revision activities and sessions before, during and after school. Many trips and visits take place during the holidays; additionally there are various activities on offer locally. A leaflet called 'Ofsted Registered Courses & Activities Programme' is produced by Riverside Leisure (Carly Rogers – 01245 615067) for each school holiday. www.chelmsford.gov.uk/events contains various events going on. This is not a comprehensive list by any means but they are hoping it will be by mid summer. www.realessex.co.uk has an events link that will take you to individual district council events pages or the option to find events through specific dates supplied by ECC. Students will have full details of activities relevant to them; additionally refer to Parentmail for more details. If you have any concerns regarding your child, please contact your son/ daughter’s form tutor or Head of Year in the first instance. We provide information to parents and carers at school transition times such as Year 6 Induction Day, Year 7 meet the tutors, Year 9 Choices, Year 11 into 12. We offer Parent’s Consultation Evenings and opportunities to communicate with school on a regular basis. We offer support during exam times, also times for parents to view their son/ daughter’s work. www.essexlife.org A wide bank of resources and support for family life. www.youngminds.org.uk The voice for young people’s mental health and wellbeing.